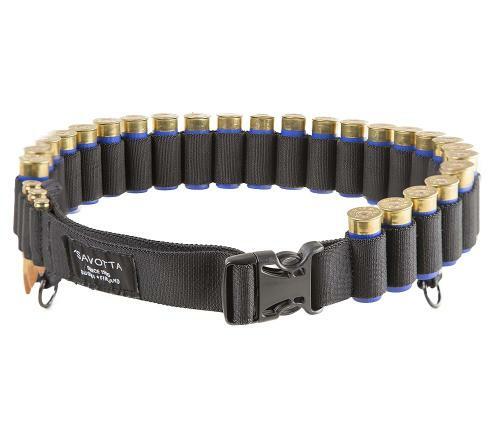 A belt made for the move to carry shotgun and rifle cartridges on-hand. 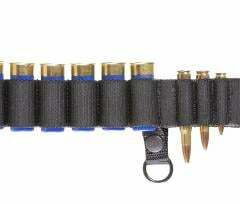 A new generation Cartridge Belt made from an extremely strong and sturdy but flexible belt rubber band. 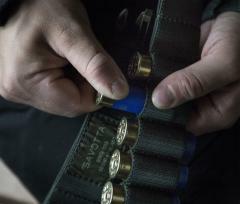 The Rekyyli carries a box (25 pcs) of shotgun cartridges and additionally five rifle cartridges regardless of calibre. Thanks to the material, the cartridges stay firmly in place, but they can be still quickly pulled from the belt to be loaded. 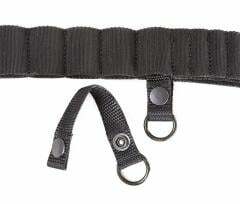 The belt has two steel hanging O-loops, which can be used for carrying small game or a canteen. 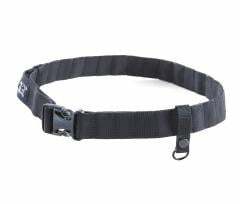 One of the loops is removable and freely transferable and the other is tightly attached to the adjustable part of the belt. The loops are fastened with snaps and they pass through cartridge pockets, so they cannot come loose even if a snap is left open. 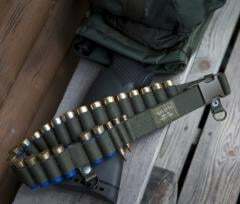 The buckle of the Rekyyli is a 40mm adjustable fast buckle, which is made from the same special plastic as the gear buckles of the Finnish Defence Forces. The product has a 2-year guarantee against material and manufacturing defects. This Finnish Key Flag product is partly manufactured on our factory in Estonia, however, more than 50 % of its work is made in Finland.